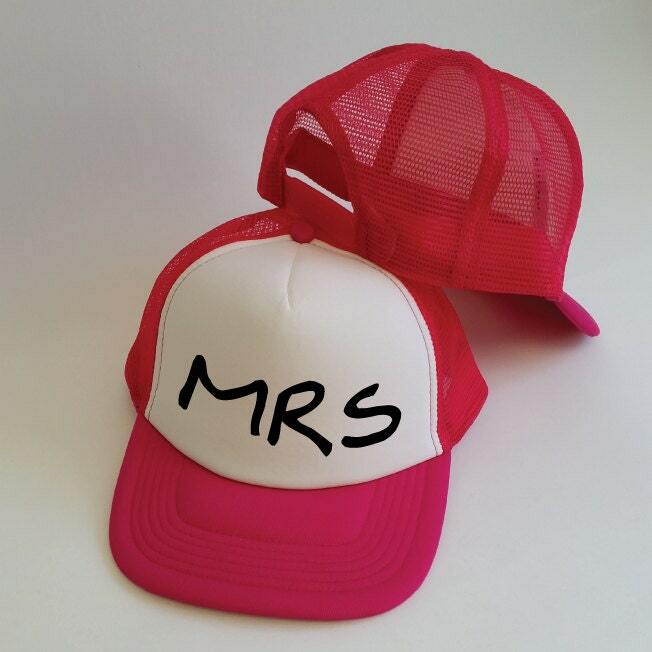 Mr and Mrs Trucker Hats. Set of Wedding Caps. Wedding Gift for the Couple. Honeymoon Gift. 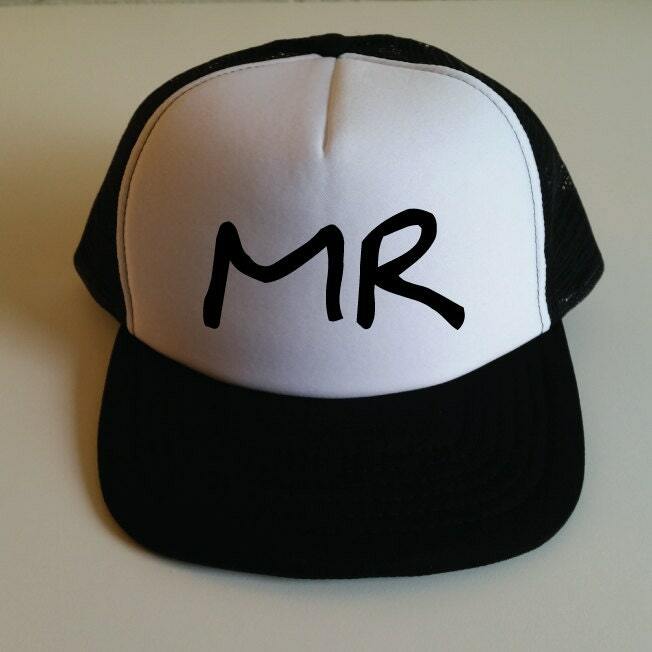 Mr Cap. Mrs Cap. Snapback. Photo Prop. 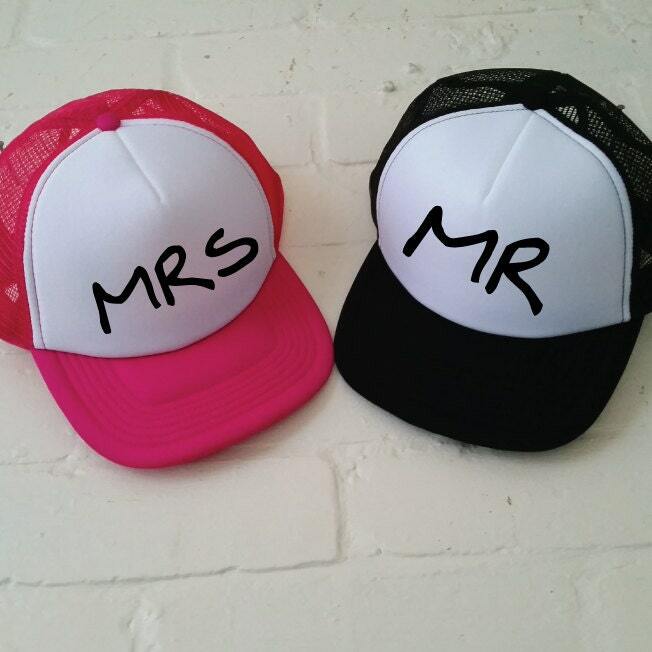 This Mr & Mrs Snapback Trucker Cap Set of 2 is perfect for wearing on Honeymoon. Also makes a great Annivesary Gift and Photo Prop. Please note that all items in this store are made to order and cannot be exchanged or refunded. Baby Mama Baby Daddy Trucker Hat Set. Matching Hats. Snapback. Newborn Photo Prop. New Baby Birthday Announcement. New Parents Gift. SET - Mummy Shirt. Daddy Shirt. Matching Shirts. Baby Shower Gift. Couple Shirts. New Baby Shirts. New Parents Shirts. Mum Dad Shirts. 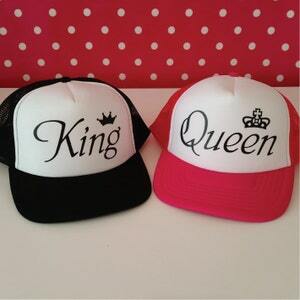 King and Queen Trucker Hats. Set of Wedding Caps. Anniversary Gift. Wedding Gift. Mr and Mrs. Matching Hats. Snapback Cap. Photo Prop. 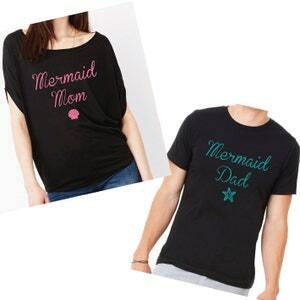 SET - Mermaid Mom & Mermaid Dad Shirts. Mermaid Party Shirts. Couple Shirts. Matching Shirts. Mermaid Themed Birthday Party Shirts.